What is it about cheesecake? I'm by no means a connoisseur, but could making one really be that hard? Due to a "prophetic" dream a few weeks ago, and with prompting from my roommate, I decided to give it a try. What did I have to lose? What could go wrong with mixing a little cream cheese, egg, and sugar together and popping it in the oven? *I halved this recipe because I only wanted one pie. If you go by what's written, you should get about 2 medium pies. 1) Crust: Crush cookies; mix with melted butter; press into pan and place in freezer to harden until cooking time. 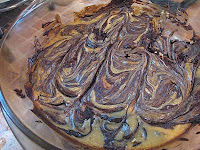 2) Melt unsweetened and semisweet chocolate in double boiler (or microwave); set aside. 3) Beat remaining ingredients (except for sour cream) with electric mixer. 4) Mix in sour cream on low speed. 6) Bake at 350 until "firmish but not dry." In other words, needs to set and not be runny in the middle, but doesn't have to browned on top. *You may notice my lovely marbled design. 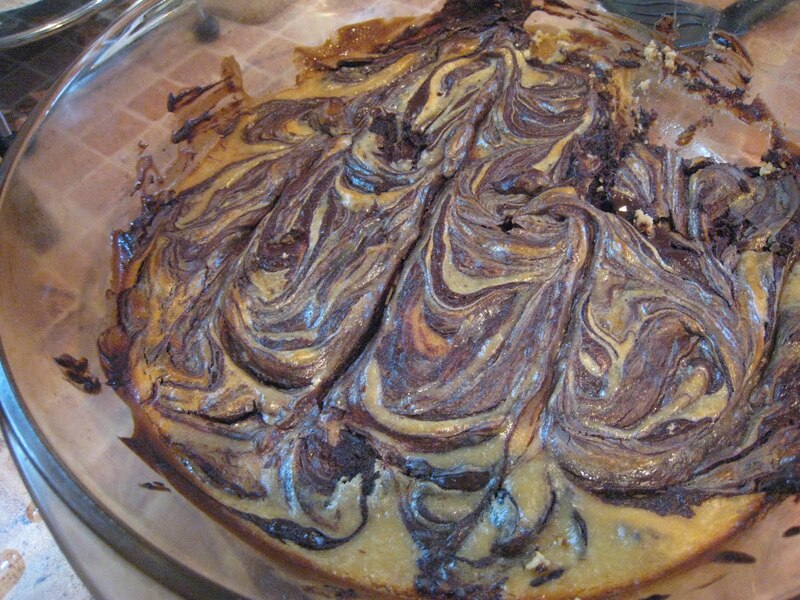 I decided to swirl the chocolate in instead of mixing it completely. It seemed like a good idea at the time, but when cooled, the chocolate hardened and seemed almost like a separate entity. For uniform flavor, mix it in completely.